Heavy-duty, triple-end, double-side, double-bottom construction stacks up stronger and withstands frequent handling. FastFold® quick and easy assembly. 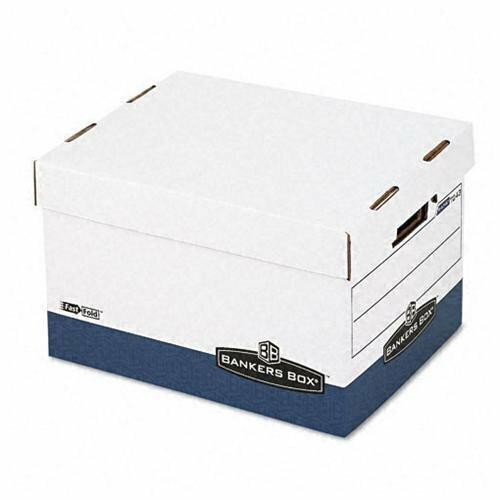 Reinforced tear-resistant handles make box comfortable to carry. Deep, locking, lift-off lid stays in place for secure file storage. Smooth rolled edges add strength and prevent paper cuts. Box Style: General Storage.